Spacious, bright and comfortable even for families, rooms are available in single, double, double with large bed, triple and quadruple options. 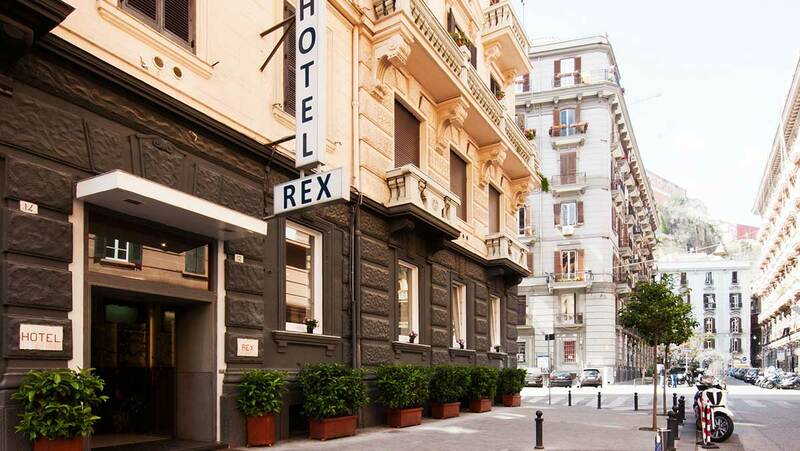 The guest rooms of Hotel Rex stand apart in this popular area of central Naples for the great relationship between quality and price. Amenities include satellite TV, direct dial telephone, mini bar, safe and air conditioning. All bathrooms are private and offer either a bath or shower, hairdryer and courtesy beauty kit. The 34 rooms of this 3 star hotel in downtown Naples are enhanced by a pleasant Mediterranean touch, with elegant light wood furnishings, fresh ceramic flooring and large reproductions of Neapolitan seascape paintings that adorn the walls. • Quick Info • Check-in: after 2:00 p.m. • Check-out: by 11:00 a.m. • Breakfast: from 07:30 a.m.
Hotel Rex of Naples is housed in an elegant Art Nouveau building of the early 1900’s, a project by the architect, Gino Coppedè. 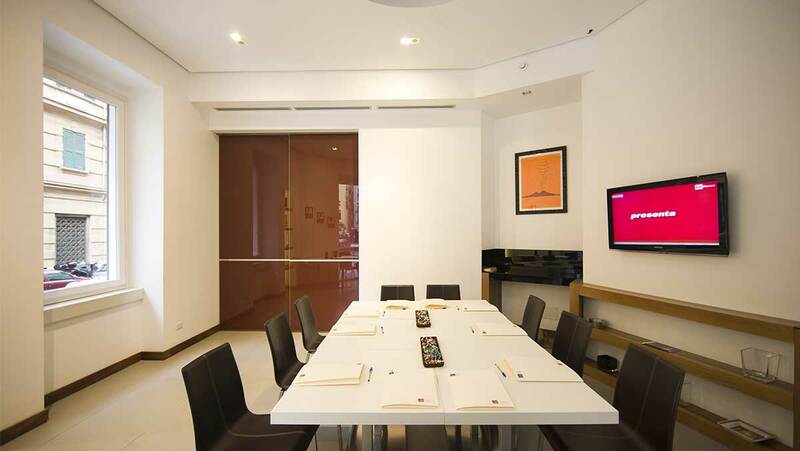 In the context of the picturesque waterfront of Naples, the rooms of this 3 star hotel convey a feeling of relaxation and comfort, where everything is designed with your needs in mind; from the nearby discounted garage to the 24h reception where guests may obtain tourist information and book tours and transfers. In the large hall of the Hotel Rex, guests may relax and enjoy a coffee or a cocktail at our private bar that is always open.